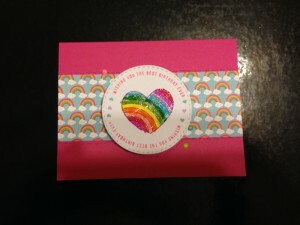 I know this card design has been done a number of times since the Simon Says Stamp Best Ever Stamp set was released in the September 2017 card kit, but I had to make it too. 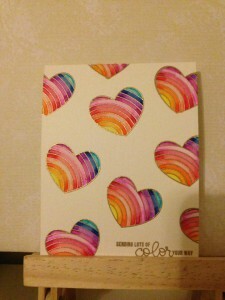 Those hearts just scream to be heat embossed and water colored. 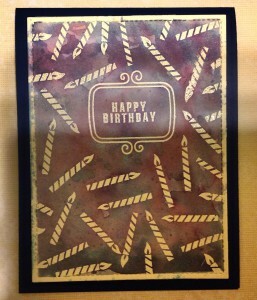 I could decide which color of embossing powder to use, so I made three cards. 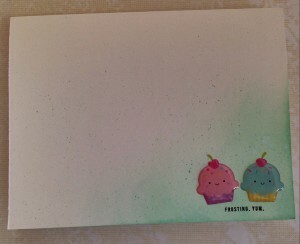 Extra Details: I began these cards by making some card bases form some water color paper. 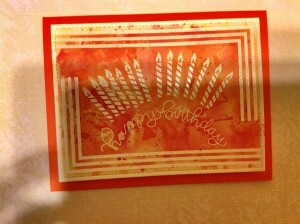 Then I stamped and embossed the sentiment and images on each card base. 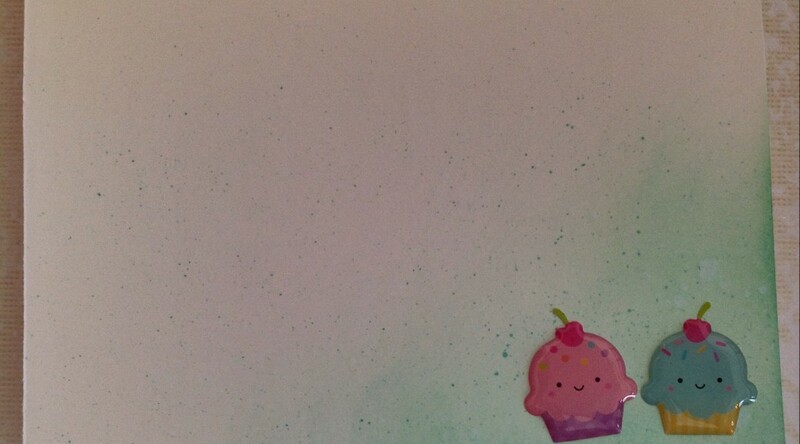 I used my Crayola Fine Line Markers to water color in the images. 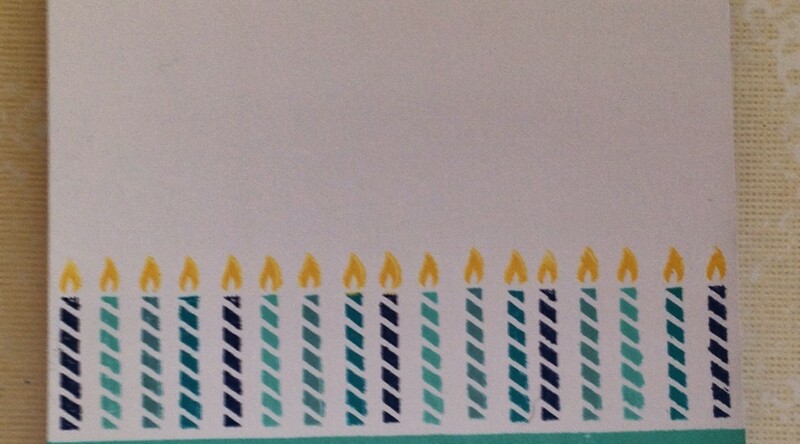 Each card has the same colors in the same order. 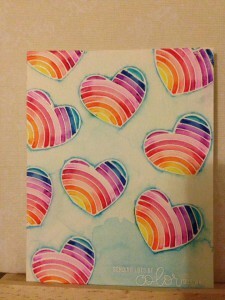 To help the white embossed hearts stand out more, I colored the background light blue. 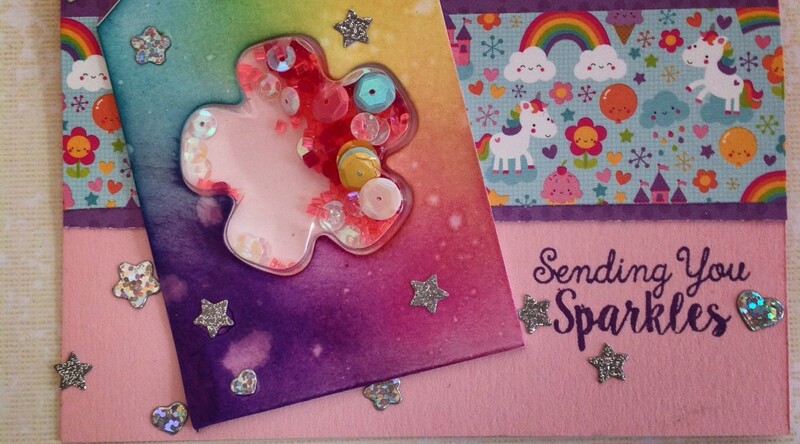 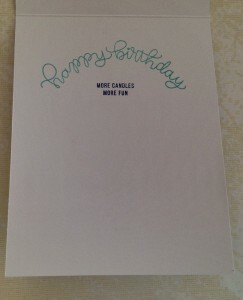 This is a set of birthday cards my daughter and I created for some of her classmates. 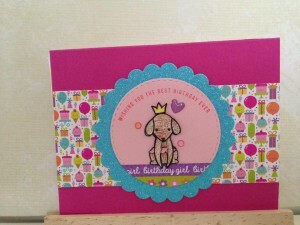 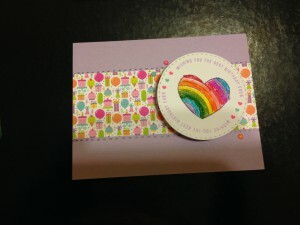 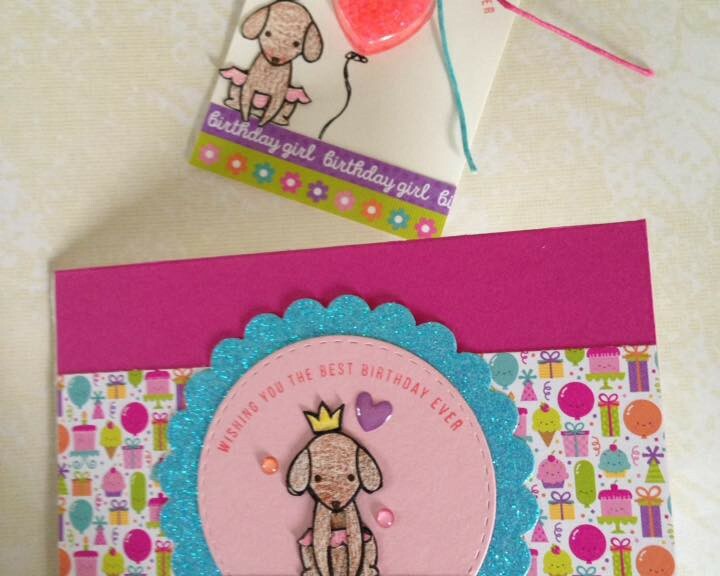 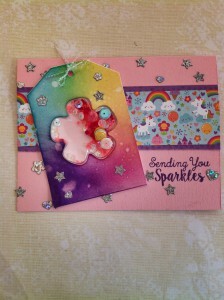 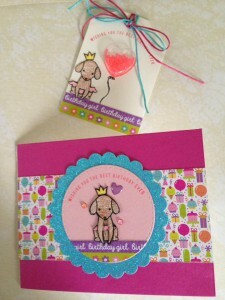 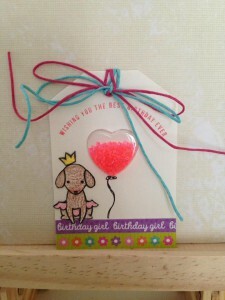 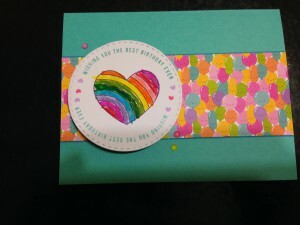 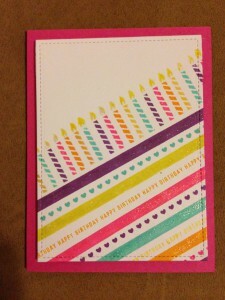 Extra Details: We began by using some patterned paper form the Simon Says Stamp September Card Kit. 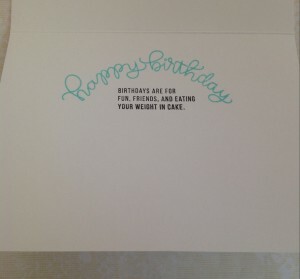 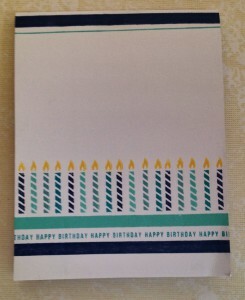 We cut each paper into a two inch strip and adhered it to a coordinating card base. 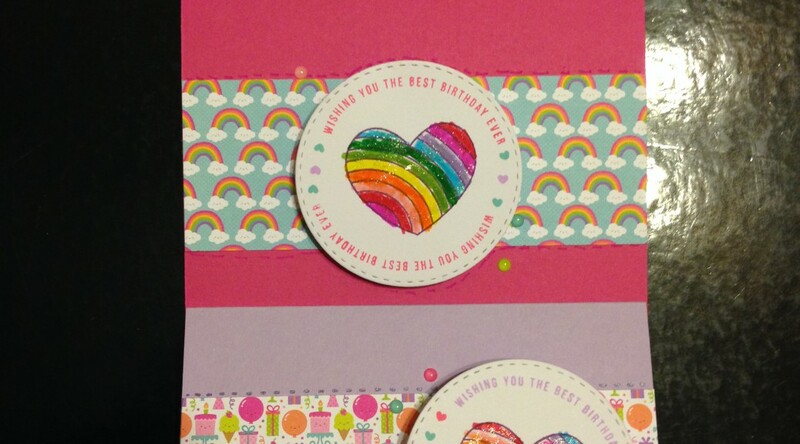 I die cut three stitched circles from white card stock and stamped the hearts and sentiments on each circle. 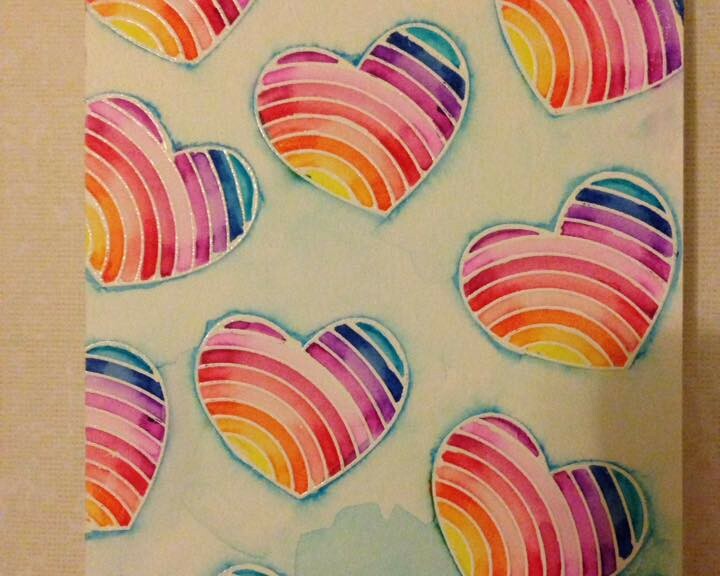 My daughter colored the hearts in using Crayola markers. 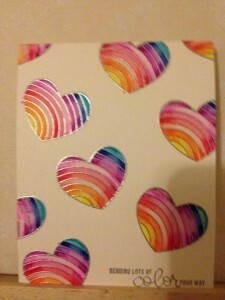 When she was finished, she added some Wink of Stella clear glitter pen to each heart. 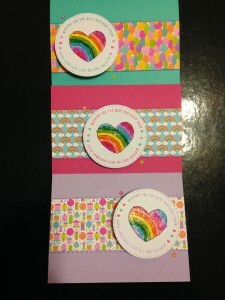 We adhered each circle with an action wobble. 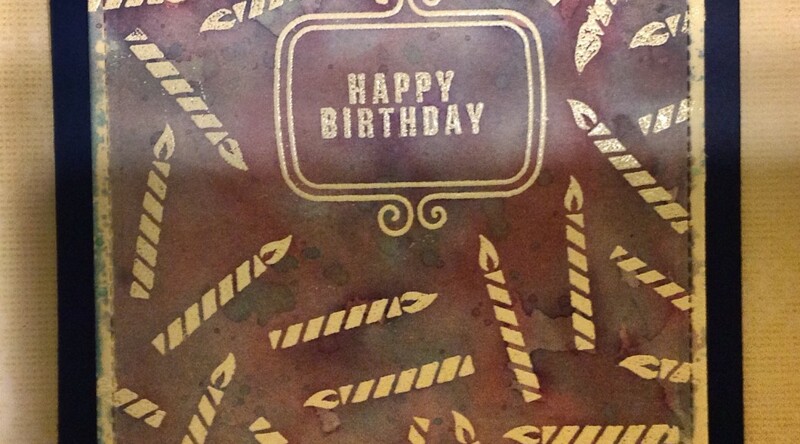 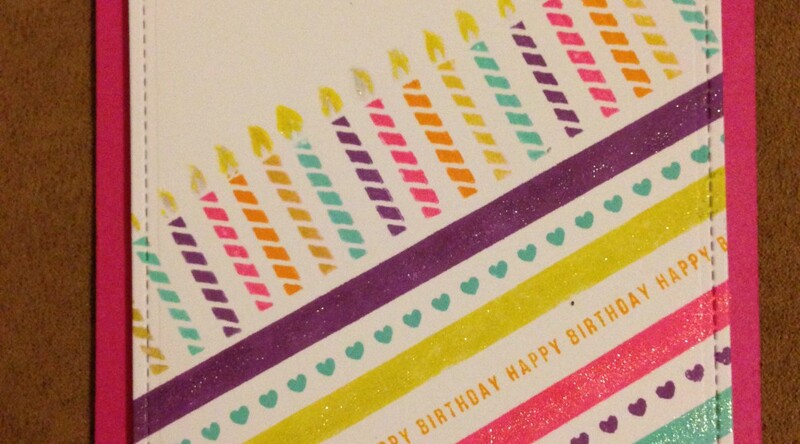 Lastly, we added some glitter pen detail along the edges of the patterned paper.